The history tab shows the complete usage history of a file in Elvis, including versions. 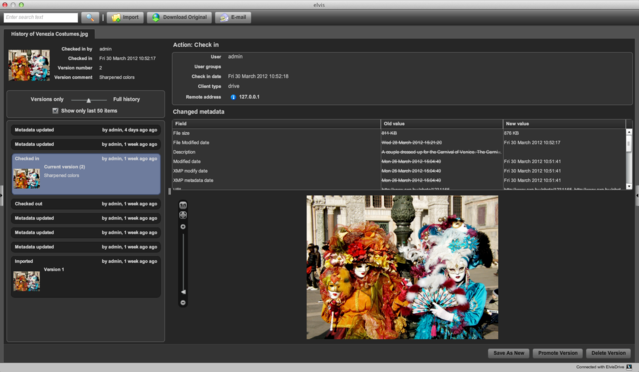 Elvis creates new versions whenever a file is checked in, either through the desktop client or with the InDesign client or updated through the API. By adjusting the slider above the history list you can control how much of the history is visible to you, from just versions up to the complete list of recorded actions. By default only the last 50 items of the history are available, but you can uncheck the checkbox and get the entire history. 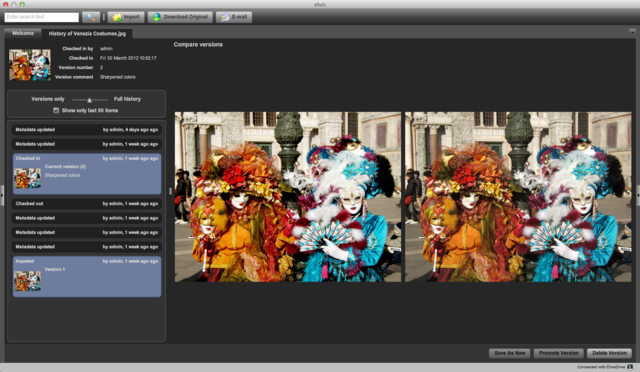 You can compare versions by selecting multiple versions in the version list.